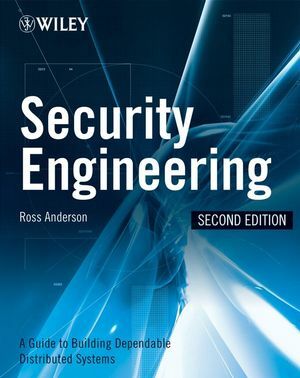 Covers the basic concepts of Security Engineering (including examples of systems and failures). New applications - what people try to do with security: military, medical records, banking, burglar alarms, telephone systems, cash machines, hardware, copyright, seals, biometrics, counterfeit, Internet intrusion detection. Tools - how they do it: cryptography, DES, AES, Skipjack, Unix passwords, hash functions, stream ciphers, public key basics. What it all means to designing secure distributed systems for real-world applications.